When it comes to achieve high-speed data read/write access, SSDs are the storage media you cannot deny the benefits of. Implementing the technology, most computer manufacturers today provide SSD as the internal storage media, which features faster boot, speedy performance, and larger storage space indeed. 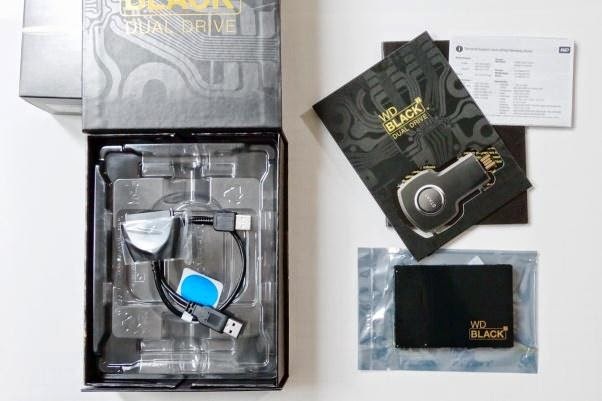 In this article, we will provide you detailed Review of Western Digital 'Black2 Dual Drive' SSD + HDD Specifications, Features, Compatibility, Unboxing, Pros & Cons, Which helps you in your decision making whether to buy/purchase it or not. While thinking of a storage upgrade, you might have realized that you cannot afford an SSD of required capacity and therefore, you eventually opt for a larger HDD to minimize the cost. However, how could you compare HDDs with SSDs, while there is not even a single common thing in both, except the storage factor? 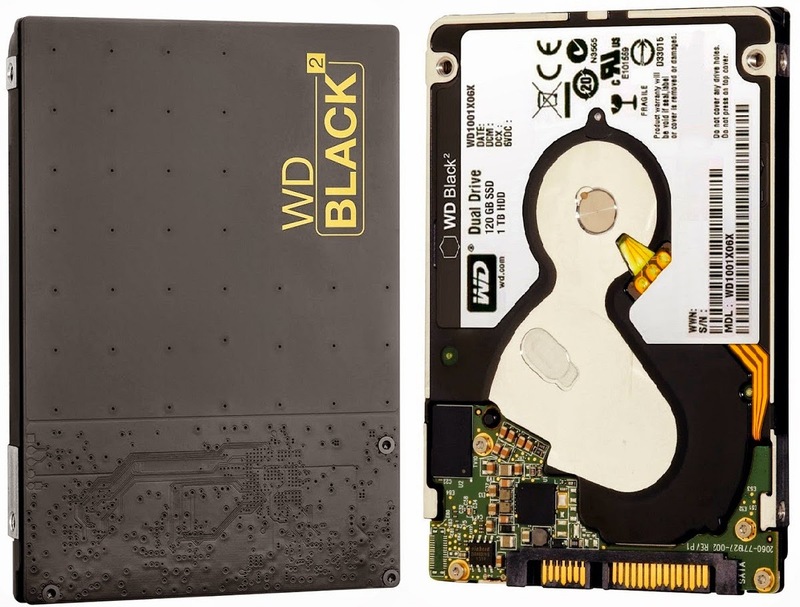 Since the overall operations in computers ultimately are based on the storage media they include, WD (Western Digital), one of the top manufacturers of the Hard Disk Drives (HDDs) and Solid State Drives (SSDs), has recently released WD Black2 Dual Drive to challenge the needs for both storage and efficiency, thereby integrating both the factors in single drive. Still a lot more about this dual drive from WD is there to be discussed. For this, go through the next section of this post. WD Black2 Dual Drive comes in a normal package, so you may not find it looking different from other conventional Solid State Drives in its outer appearance. On Unboxing, you see a USB key that actually looks like a storage device, but it is not. When you connect this USB key to your computer, it acts as a Virtual Keyboard and launches the manufacturer’s web site, and the web page it opens lets you download the latest version of the required driver and the cloning software. Added to the box is a USB to SATA cable for OS cloning purpose and a multi-language user manual to guide you throughout the installation and its uses. With the launch of Black¬¬2 Dual Drive, the manufacturer (i.e. WD) has given the power to the consumers, thereby redefining their PCs with higher storage capacity and highly efficient performance the way it has never ever experienced before. This only 2.5-inch dual drive is especially designed to fulfill the needs of every person who wishes for a high capacity and speedy drive in his notebook or all-in-one PC. Well, the base of the idea is nothing else but demands of the customers for a high-speed PC, which must also be able to provide larger storage space. After the right and efficient workout, the strong desire for a high-speed storage device for your existing computer has now been launched successfully. WD has fused two high-performance storage devices together, in order to put the faster boot and read/write operations to your fingertips. High speed and performance due to quad-channel NAND processing and 20nm architecture. Highly efficient data management per cell because customized controls minimizes the drags. 8 GB space for provisioning, which improves integrity as well as reliability of the drive. Consequently, with considerably less system drags, you can now write large files to the HDD portion of the dual drive, which in turn improves the mileage and performance of the SSD portion. WD Black2 Dual Drive provides better solution for the problems, like users are familiar with the fact that SSDs are constructed by integrating a number of flash memory chips that have a finite lifetime, and the performance of the SSD falls down with the increase in storage. With Black2 Dual Drive, you can store excessive amount of data to the HDD portion with 1TB storage space and keep the SSD portion free to attain flawless and optimal performance. The launch of WD Black2 Dual Drive is certainly a good news for those who have a gamer inside, but the gradual downfall in computer’s performance does not them bring it out. The 120 GB SSD portion lets you boot your computer in a way faster than it has even booted before. Run your games by putting them to the high speed SSD, and play them in a smooth and game play environment. Another nice but ignored feature in WD Black2 Dual Drive is that its SSD portion both is shock and vibration resistant, which in collaboration with the tested OK technology of the HDD makes it a reliable and the best dual drive solution for consumers’ demanding the highly capacitive and efficient drives. As I already mentioned in the ‘Unboxing’ part, WD Black2 Dual Drive brings a SUB web key, a USB to SATA cable, and some user manuals. However, installing this dual drive requires a working Internet connection and a software download. Based on the requirements, you can go for a fresh install or drive cloning. With the connectivity to the Internet, see the video describing the drive installation process here. Issue: Drive is very much thick to be installed on. Issue: The drive has two extra screws on its bottom surface. Important: Unfortunately, WD Black2 Dual Drive is not compatible with any version of Mac OS X. Boot SSD and HDD portions of this dual drive are accessible to the users, but the HDD portion will be ready to be used for data read and write purposes after the software installation. Currently, WD Black2 Dual Drive is available with a 5 years manufacturer’s warranty. Well, Black2 Dual Drive is certainly a great storage media to achieve highly efficient and considerably fast read/write operations. Since the drive is expensive, it is almost unreachable from individual user’s approach.